On August 15, Ukraine awakened without knowing that it is going back to 2013. Failure to launch the electronic declaration system of assets would not be as visible as non-signing the EU Association, but its consequences would be evident in the short term. On August 31 at midnight, electronic declaration was launched in full. UCMC decided to find out what has made it get back on the right path and what potential consequences will be. The system started operating in the early hours of August 15. Though the idea looked already defamed: the State Service of Special Communication and Information Protection of Ukraine. (subject to the National Security Council and its chairman Olexander Turchynov) refused to certify the system software. Without such a certificate the system could operate only in test mode. In that case, it could not provide proof of the crime, and even if an official was caught with illegal property, he could not be brought to justice. The system failed to fulfill the purpose of fighting corruption. Instead, it left room for rooting corruption and promoting impunity. Society urged not to run the electronic declaration system like that. The President insisted on the opposite. At the same time, activists and MPs stated that e-declaration can function normally, but the State Service of Special Communication deludes public opinion. Petro Poroshenko had a unique opportunity to feel like Viktor Yanukovych: he opened metro station, congratulated Ukrainian Olympians on winning medals, and tried to ignore the increasing criticism both from people within the country and outside it. Journalists, civil society and western partners increased their pressure. It even came to an internal Ukrainian call for non-cancelling the visa regime with the EU and non-granting the next tranches. As the West reaction implied, they did not need prompting: the IMF stated that Ukraine will not receive the money without e-declaration (3 billion USD and 1.2 billion EUR from the EU); the European Union stated that visas for Ukrainians will be cancelled after the start of real fight against corruption. A prerequisite for this is to run the e-declaration system. It is unlikely that Petro Poroshenko’s conversation with Donald Tusk encouraged him to play unfair with the people and partners. 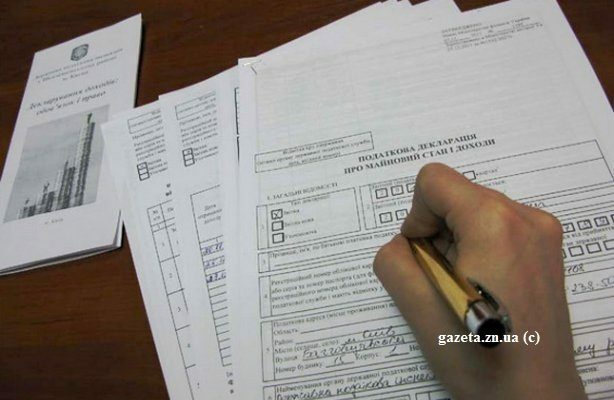 Ukrainians observed signs of e-declaration system absence on August 15 on the way to work. There was a significant drop in the hryvnia against the dollar and euro in the interbank market. That was the reaction of the Ukrainian market to the statements on Ukraine’s failure to receive tranches. After two weeks the hryvnia slightly decreased. But it is unlikely that it will return to the previous level without financial assistance from the IMF and EU. Visa-free regime with the EU is like a Christmas gift. This is the result of work and expectations over the past two years. It is not a good idea to lose this chance through the fault of officials who want to roll the country back 3 years. We must move beyond words to deeds, to fight corruption. It is not only the EU requirement for visa abolition, but also more than two-year expectation of all Ukrainians. How much pressure should society exert on the President to finally achieve results? As of September 1 the system of e-declaration was put into operation, however it is encountering problems. Browser was not letting some users access the declaration procedure. It was warning of a possible attempt to steal users’ personal data. Users have also discovered that the system is not displaying the declarations that were inserted into it. Moreover the users are reporting problems with authorization on the web site, it is displaying an empty page right after the authorization stage. To remind, the system was launched two weeks after Derzhspetszvyazok (State Service for Special Communication and Information Protection) finalized additional works. Director of Transparency International Ukraine Yaroslav Yurchyshyn voiced the hope that authorities will not discredit the e-system for declaration of assets. Is it possible that the system was ready to be launched on August 15 already? Do the current problems it is experiencing result exactly from the amendments introduced into the system? Failure to launch E-system for asset declaration fully – what threats are there for Ukraine?